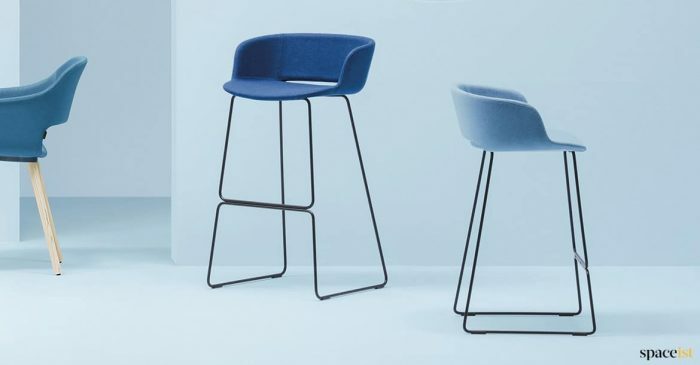 Hard wearing and high quality bar furniture designed especially for bars, cafes and eating and drinking spaces of all shapes and sizes. 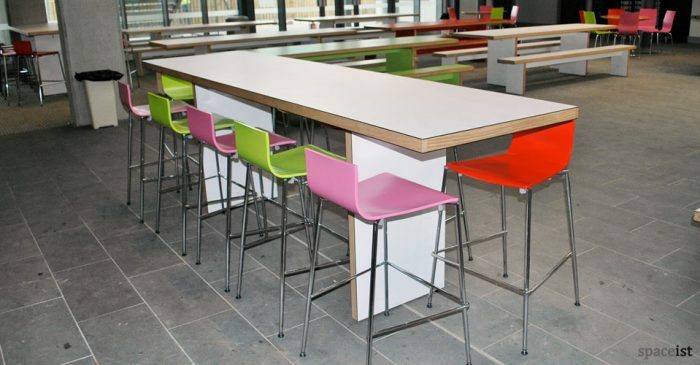 From fitted bench seating and banquettes to folding and stackable tables chairs, our bar furniture is designed to make entertaining easy. 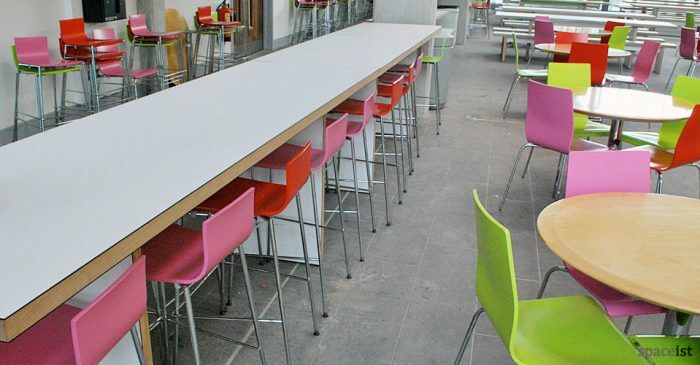 Whether you’re looking for freestanding, flexible furniture arrangements or cosy booth seating for cushioned comfort, our bar and cafe furniture comes in a wide range of colours and finishes and can be matched indoors and outside for seamlessly flowing ‘exterior to interior’ venue design. 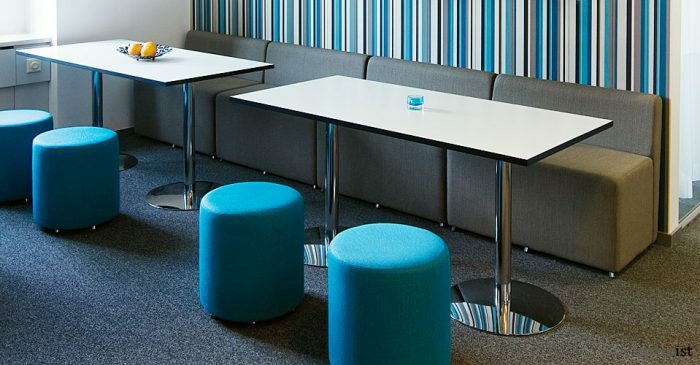 Take advantage of our Space Planning services and Furniture Leasing and Office Furniture Finance options for off the shelf sizes and bespoke furniture solutions at prices you’ll love, all guaranteed for 5 years and delivered and expertly installed anywhere in the UK. 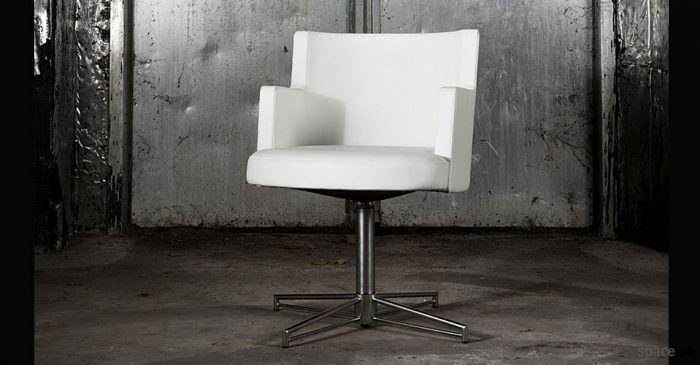 55 bar chair comes in over 100 different fabric, vinyl or leather colours. 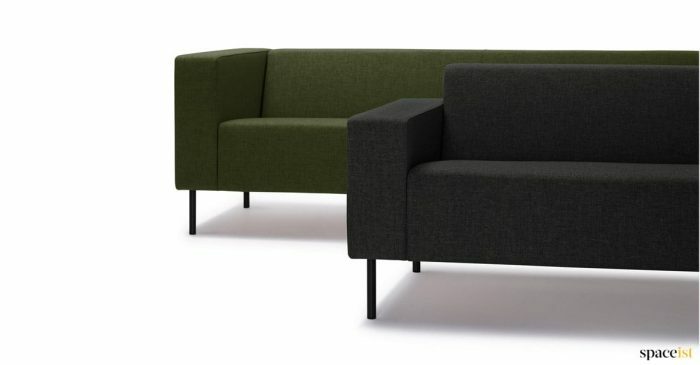 Can be joined together to form a sofa or left separate. 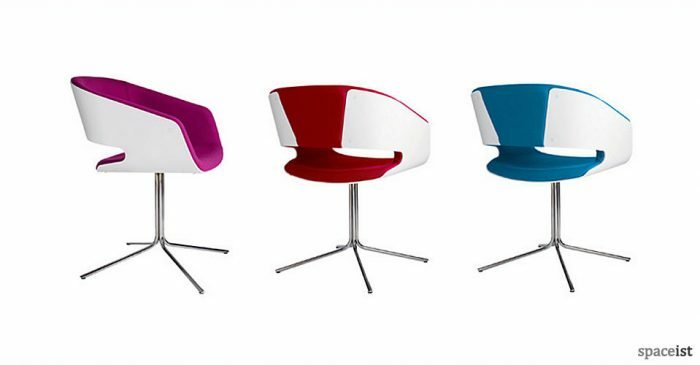 Lacquered seat in white, black, red, grey, blue, yellow, charcoal, grey blue, olive, lime and pink. 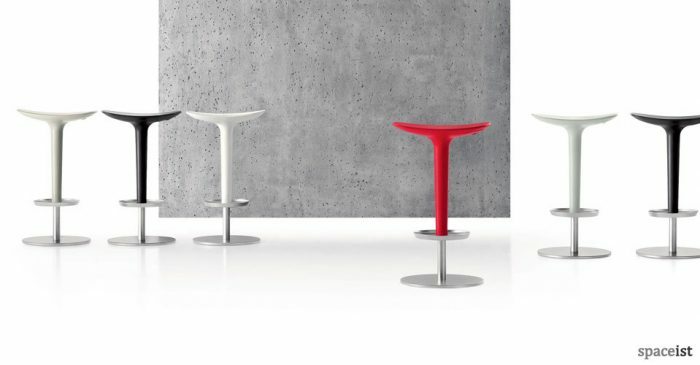 Plastic adjustable seat in red, black, white, light grey or chocolate. Brushed chrome base. 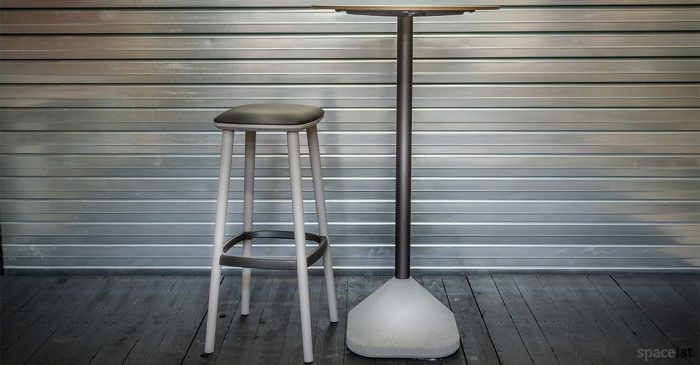 Low wood cafe stool in natural ash, black stained ash & grey stained ash. 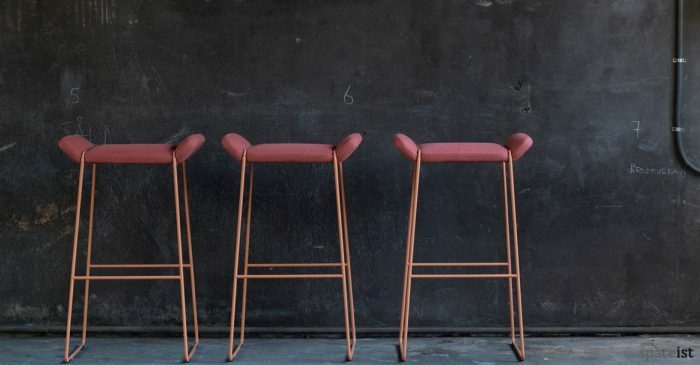 Low cafe stool with a seat pad in fabric or vinyl. Leg in ash, black & grey stained ash. 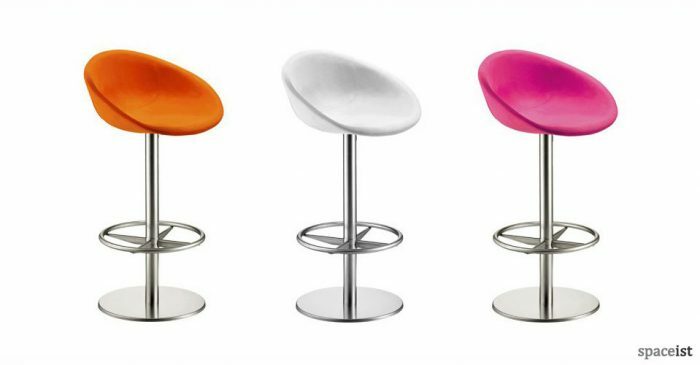 Modern cost effective stool in white, yellow, sand, dark grey, orange-pink & black. 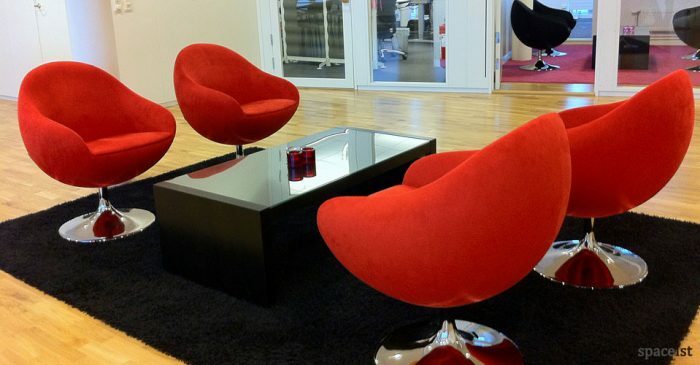 Matching chair. 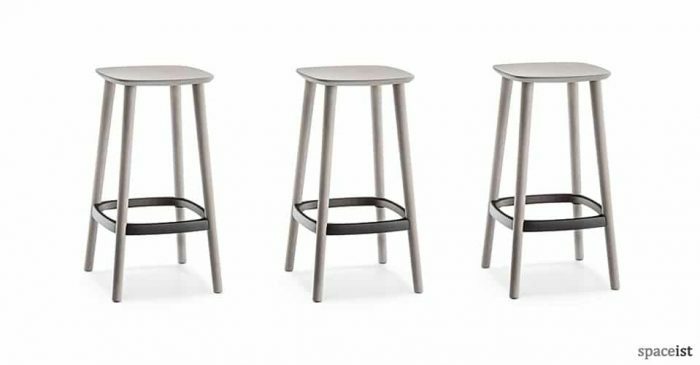 Modern wood stool in natural ash, black stained ash and grey stained ash. 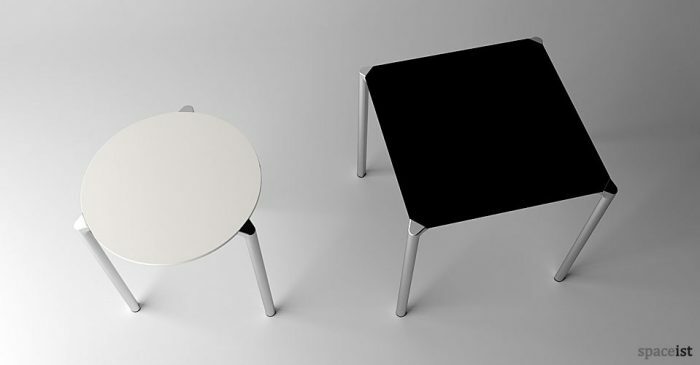 Economical X style base with a round or square laminate top in black or white. 110cm high. Suitable for outdoor use. 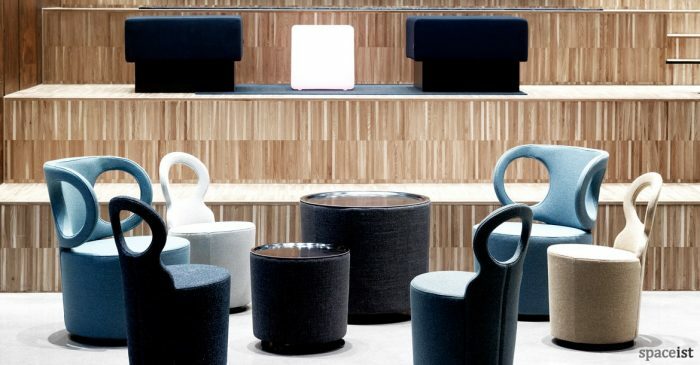 Distinctive retro design. 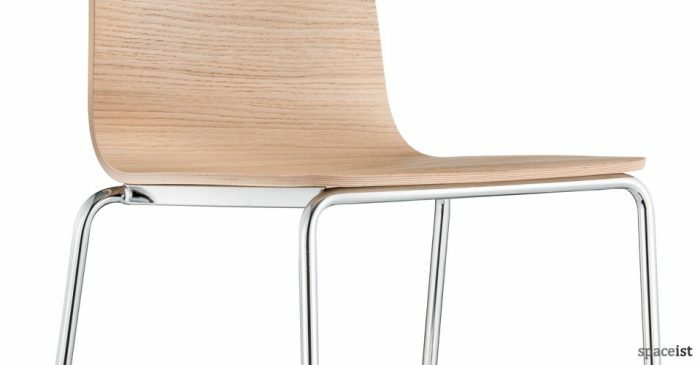 Tough, sculpted plastic seat. 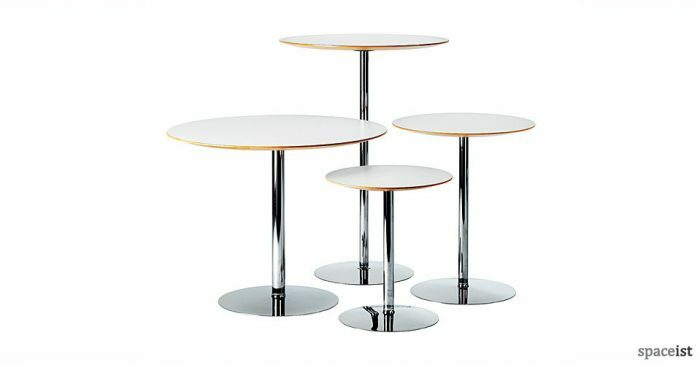 Elliptical steel foot-rest, chromed base. 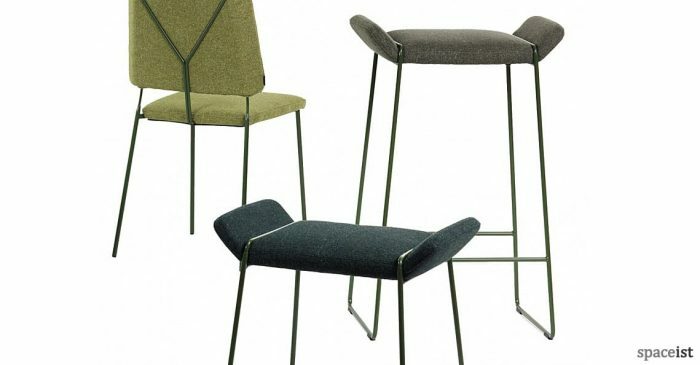 Upholstered bar chairs in red, green, orange, black, purple plus many more. 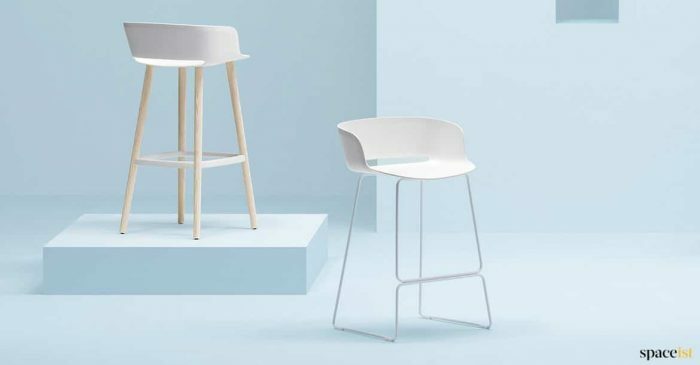 Base in chrome, white, black or over 60 colours. 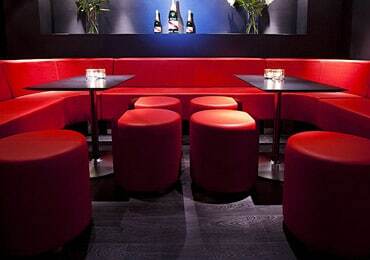 Upholstered bar chairs in red, orange, lime, purple and many more contract fabric and faux leather colours. 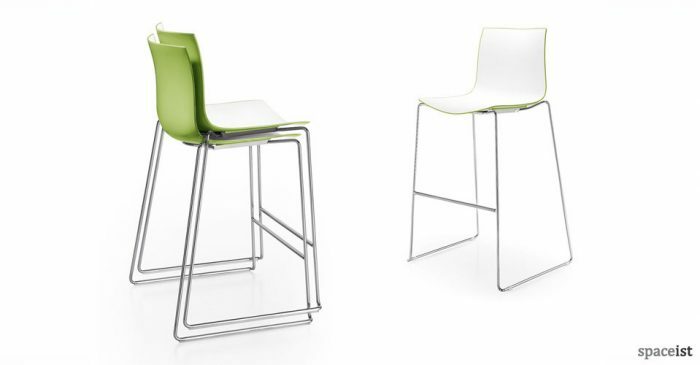 Base comes in chrome or over 60 RAL colours. 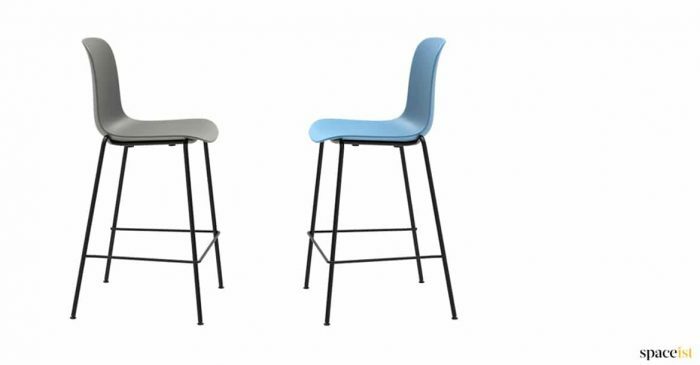 Scratch resistant bar stool in white, green, black, red, light beige, beige, yellow, pink & blue. 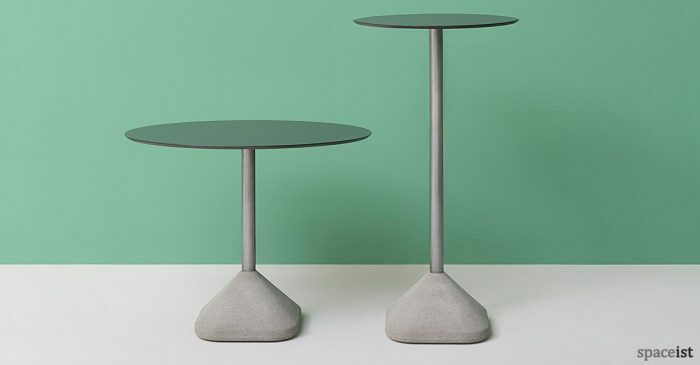 Concrete molded high table with a galvanized stem & outdoor laminate top. White, grey & black top. 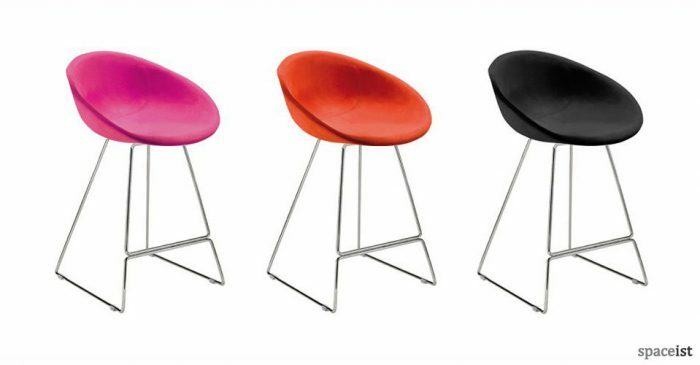 The stool is available in three height options & is finished in black, red-purple, sand & polished aluminium. 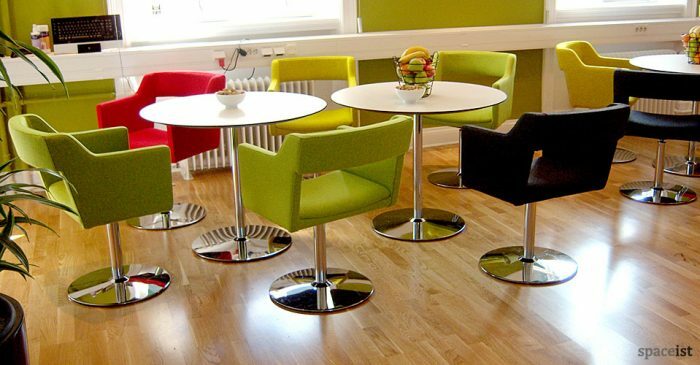 Round bar height table with a laminate top in white, black, wenge, oak, birch and over 100 laminate colours. 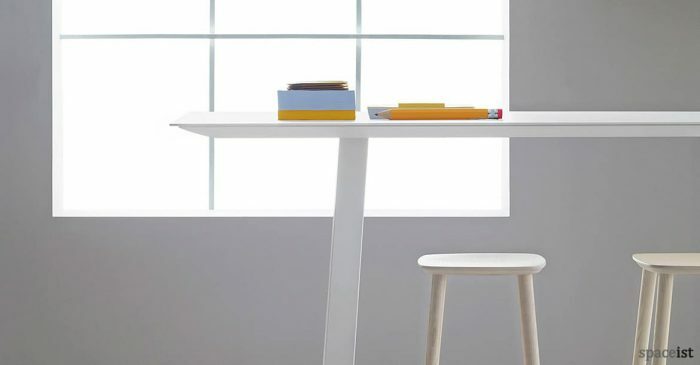 Rectangle cafe table with a top in white, black, wenge, oak, birch & over 100 colours. 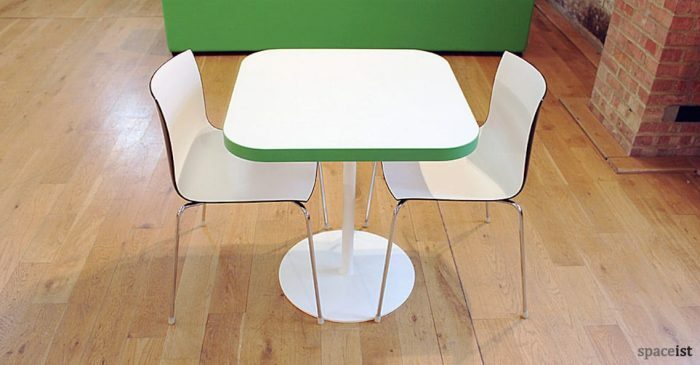 Square cafe table with a laminate top in white, black, wenge, oak, birch & over 100 colours. 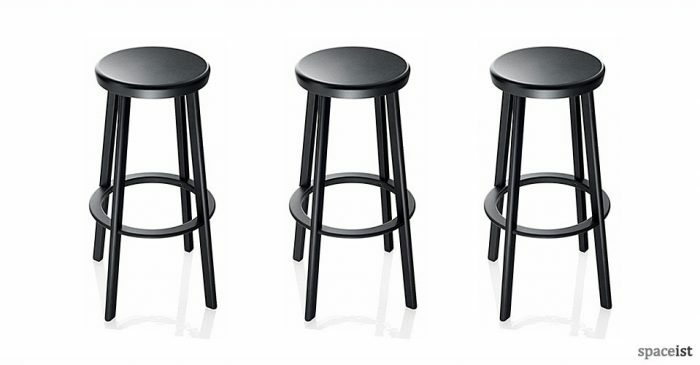 Simple and cost effective stacking stool in black, dark grey, light grey, white & red. 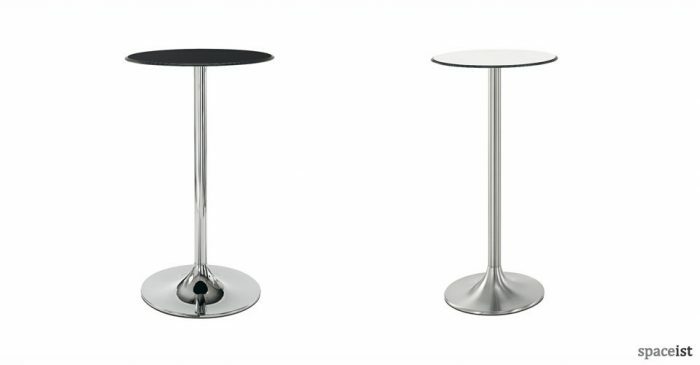 Economical version of the Trumpet bar height table. 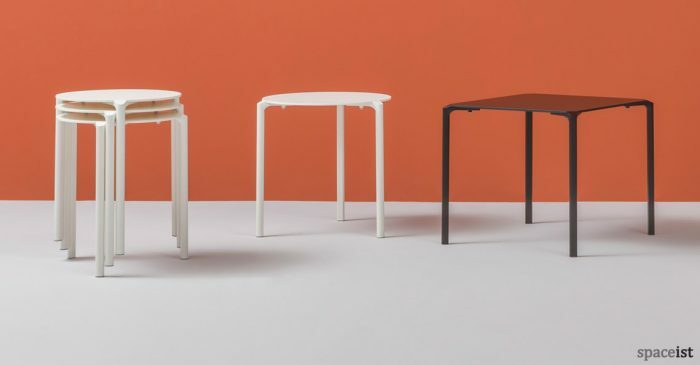 Base comes in two pieces and finishes include white, black and silver. 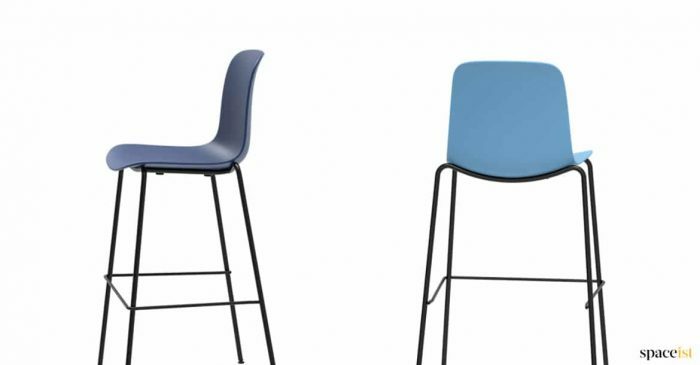 Simple and high quality contract seating for bars, the flame retardant foam is upholstered in a large choice of materials including fabric, leather and vinyl. 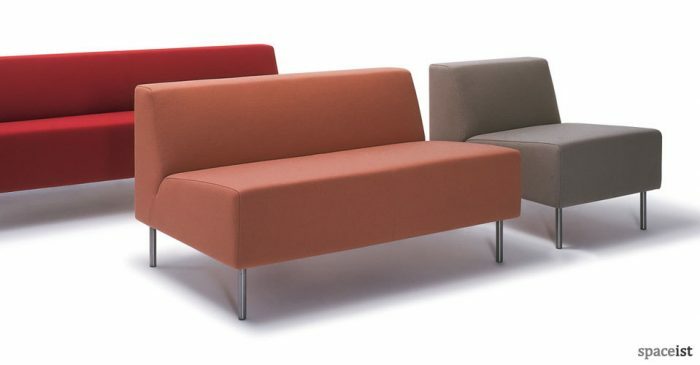 A modular seating system comprising of a chair, two and three-seat sofas. 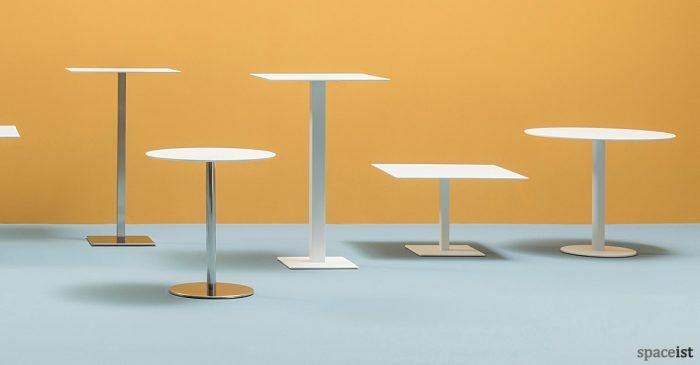 New high bar table with a extruded aluminum base. 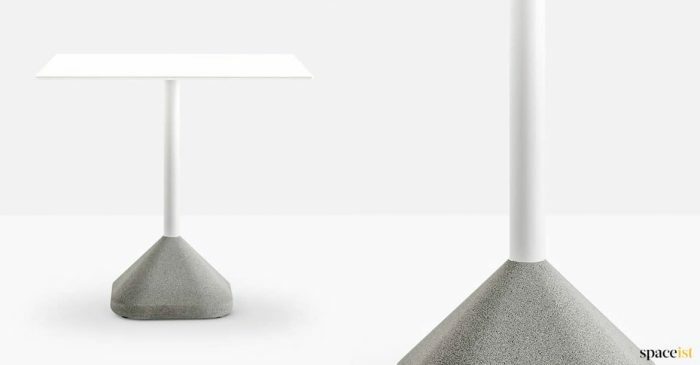 Top materials include glass, marble, laminate and metal. 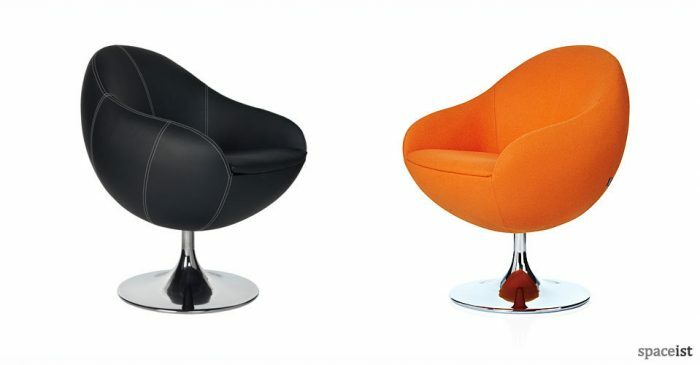 Distinctive round shaped bar chair covered in contract vinyl, fabric or leather. 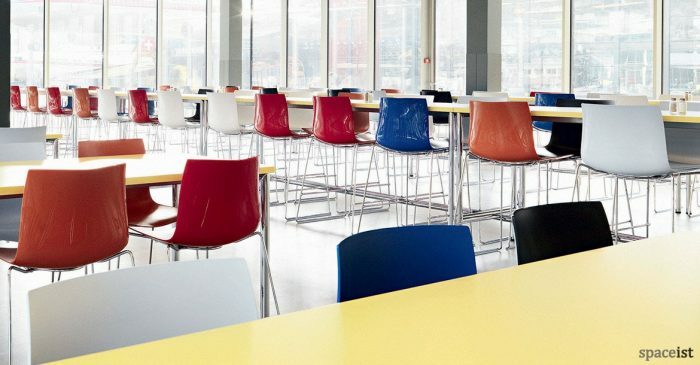 Over 100 different colours to choose from plus COM. 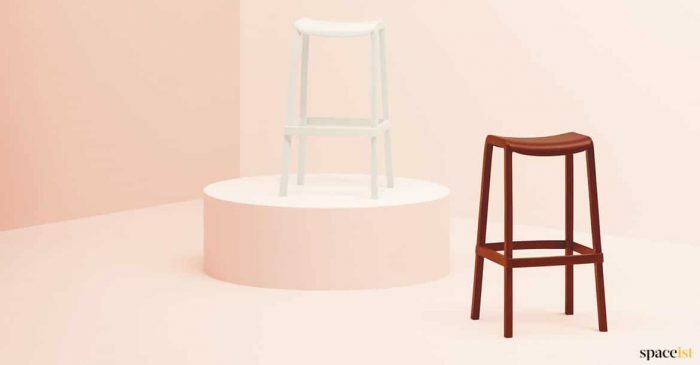 Simple stool with a colourful or plain seat. 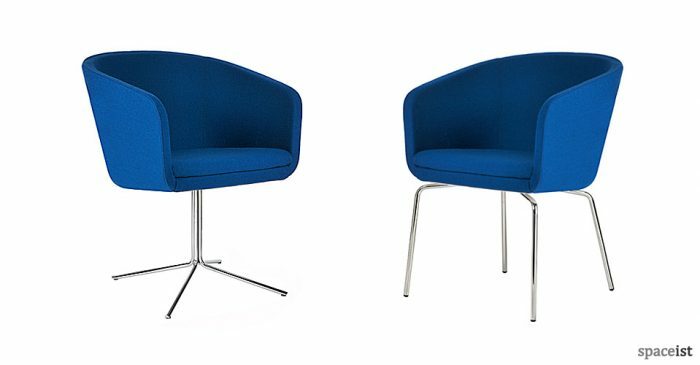 The Flx is stackable 4 high and there is a matching chair. 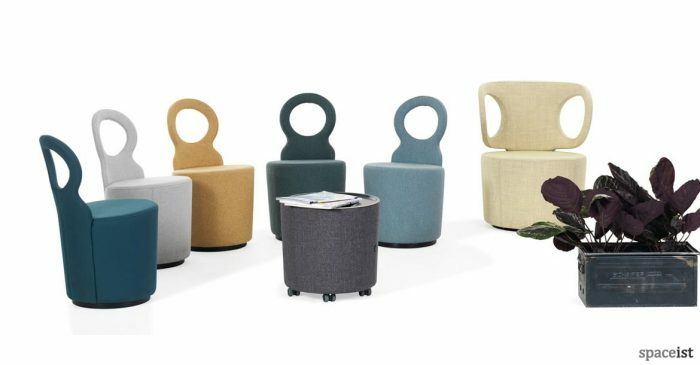 Low stool with a U-shape seat in fabric or vinyl. 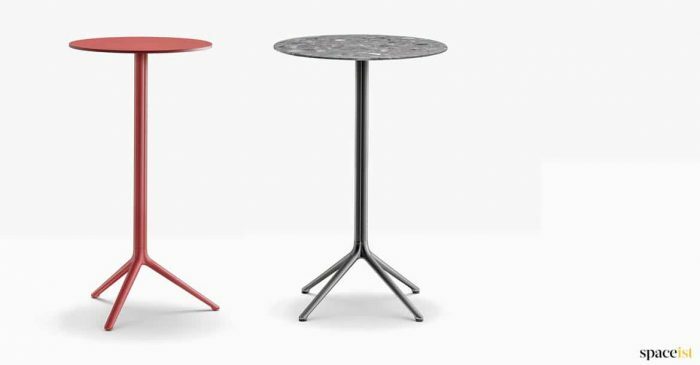 Steel base in over 64 colours. 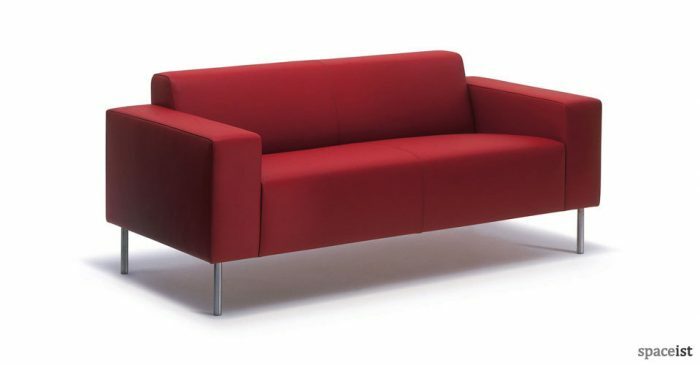 Fabric seat colours include red, dark red, yellow, white, dark grey, black and lime. 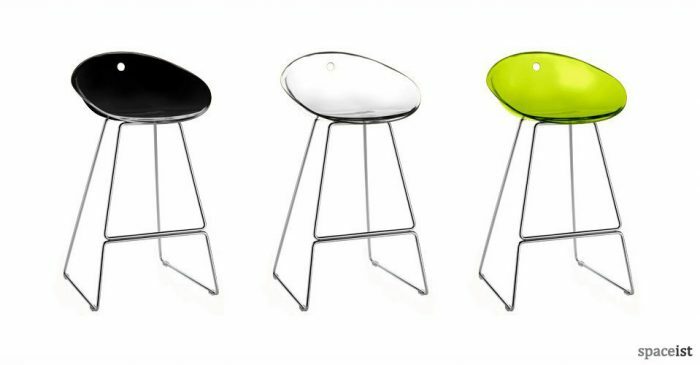 Plastic seat comes in clear, dark grey, lime and solid white or black. 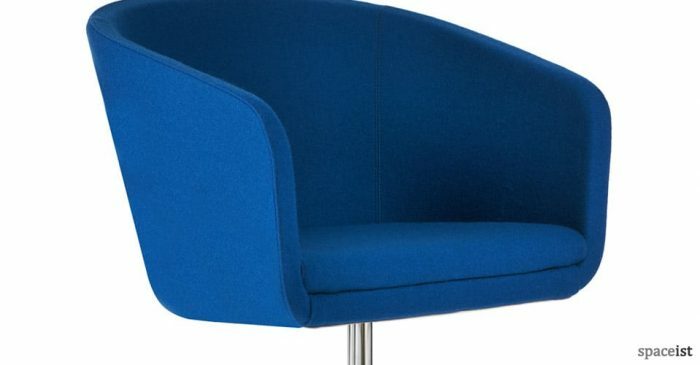 Matching cafe chair. 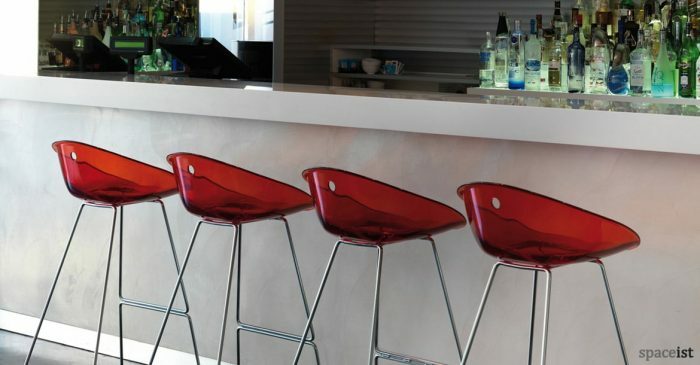 Fabric upholstered bar stool on a chrome sled base. 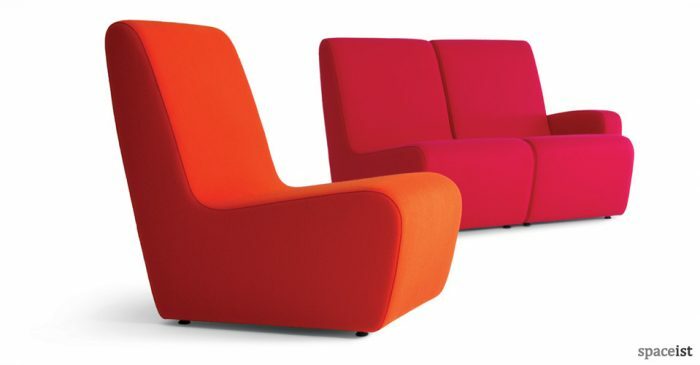 Fabric and vinyl seat comes in various bright colours. 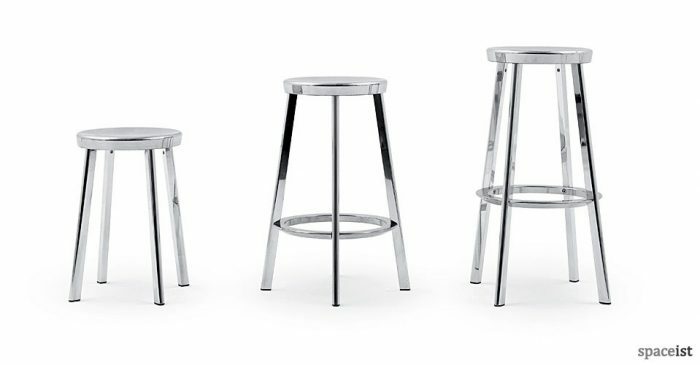 Fabric upholstered bar stool on a chrome or brushed steel swivel base. 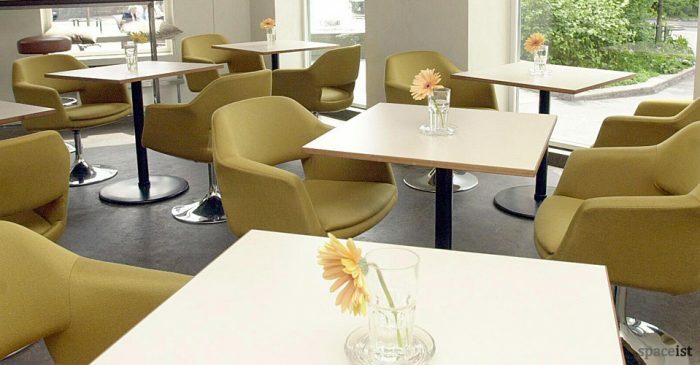 Matching cafe chair. 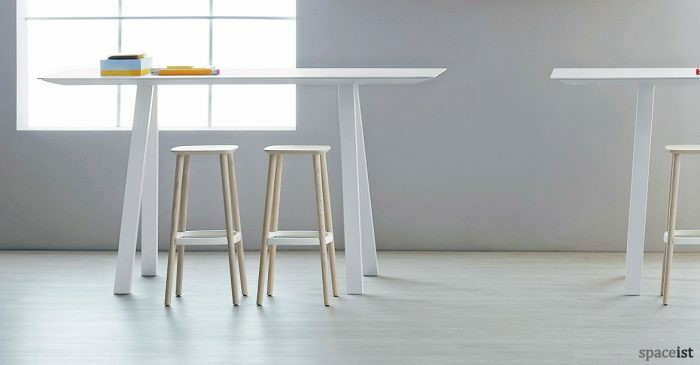 Cone shaped white bar table. 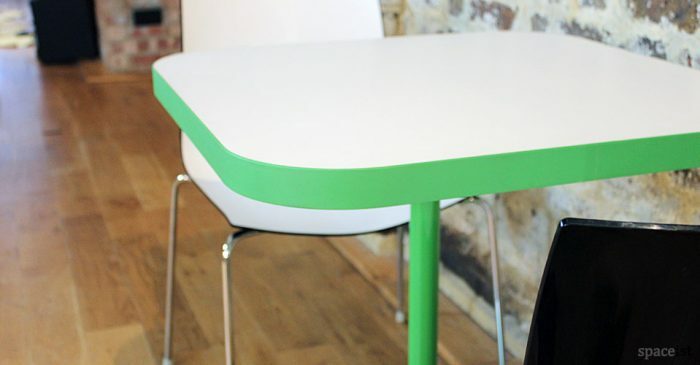 Hard wearing top comes in white, black or grey laminate. 110cm high. 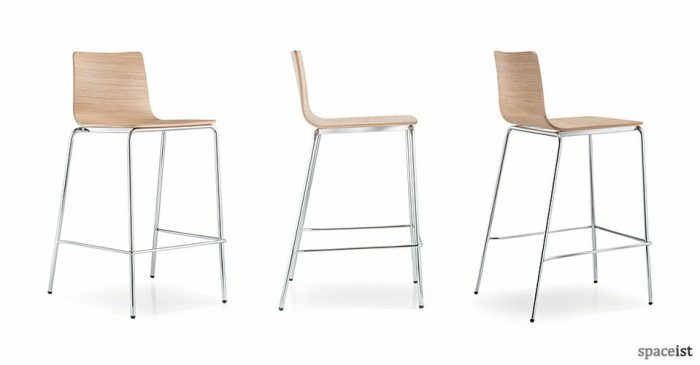 Stacking plywood bar stool in bleached oak, dark stained oak or black stained oak. 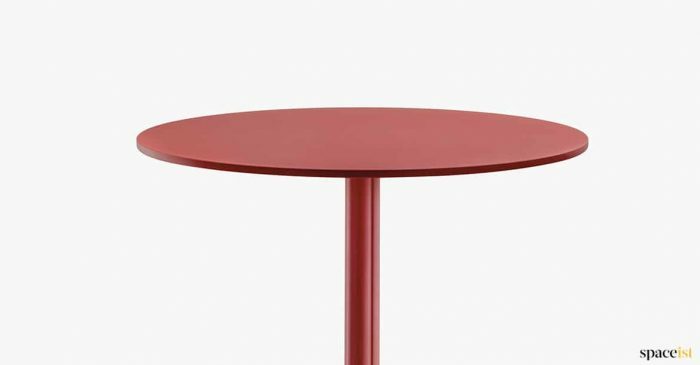 Square and round bar table with a laminate top. 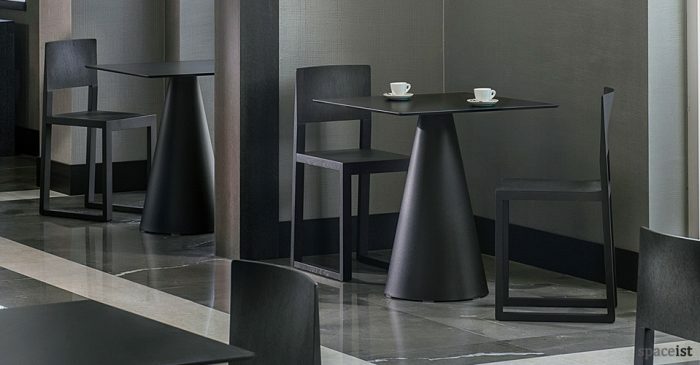 Base finishes include white, black, brushed or polished steel. 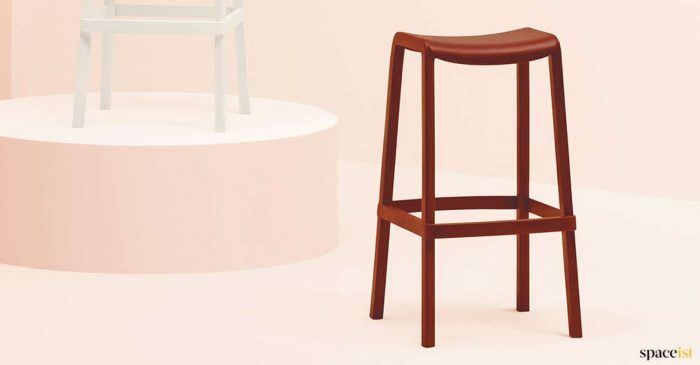 110cm high. 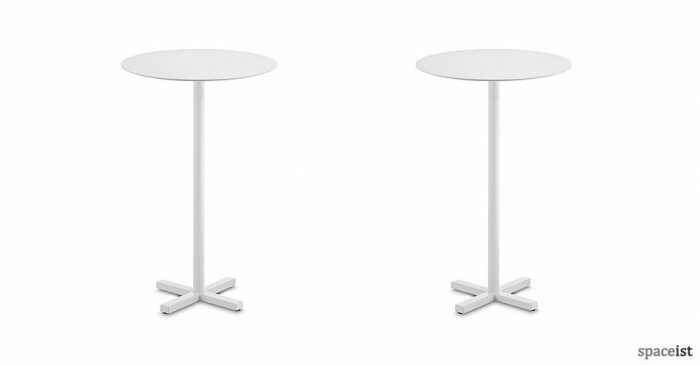 Outdoor and indoor cafe table with a aluminium leg and hard top in white or black. 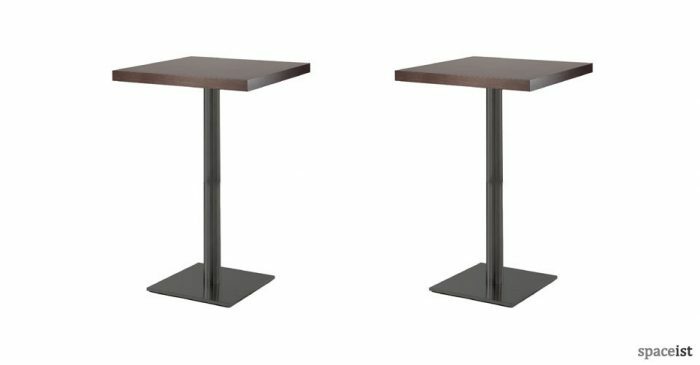 Table stacks 5 pieces high. 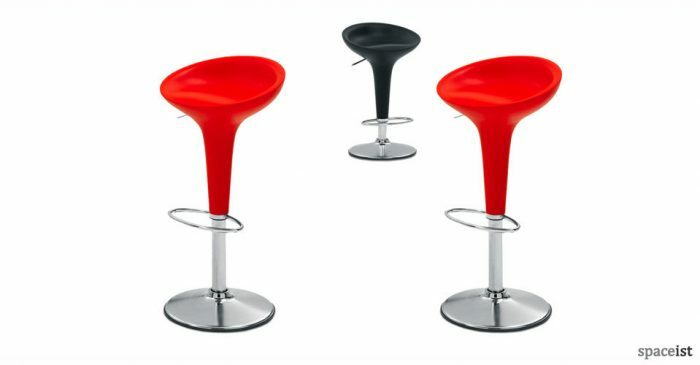 Upholstered bar chairs in red, lime, orange, black and purple plus many more fabric and vinyl colours. 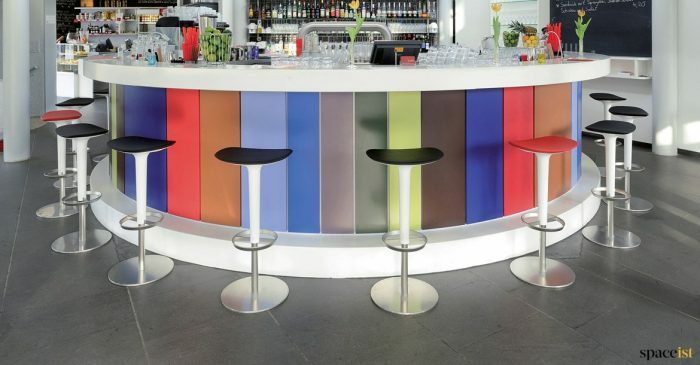 Base comes in chrome, white, black and over 60 RAL colours.